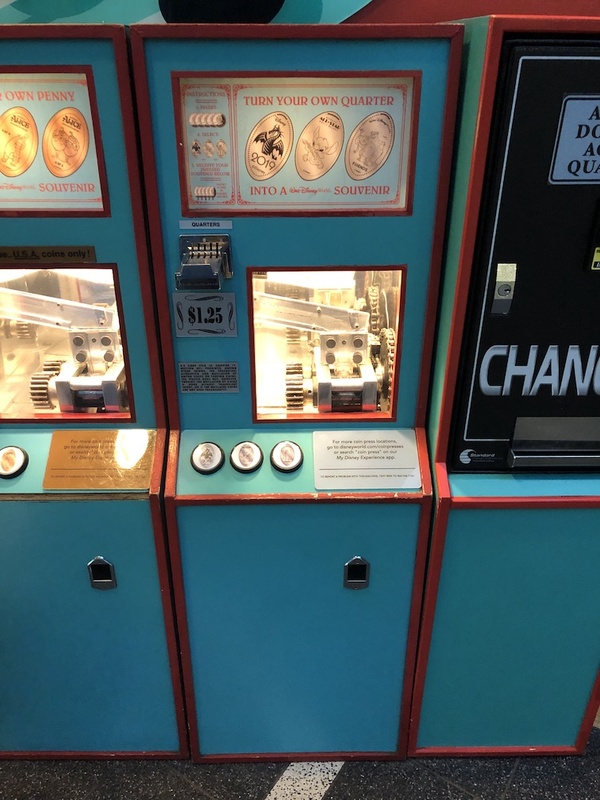 In a bit a strange move, this past weekend the 2019 pressed quarter design of Minnie Mouse that was at the All-Star Music resort has been removed. So far it hasn’t been moved to another location (although we are keeping an eye out for this). 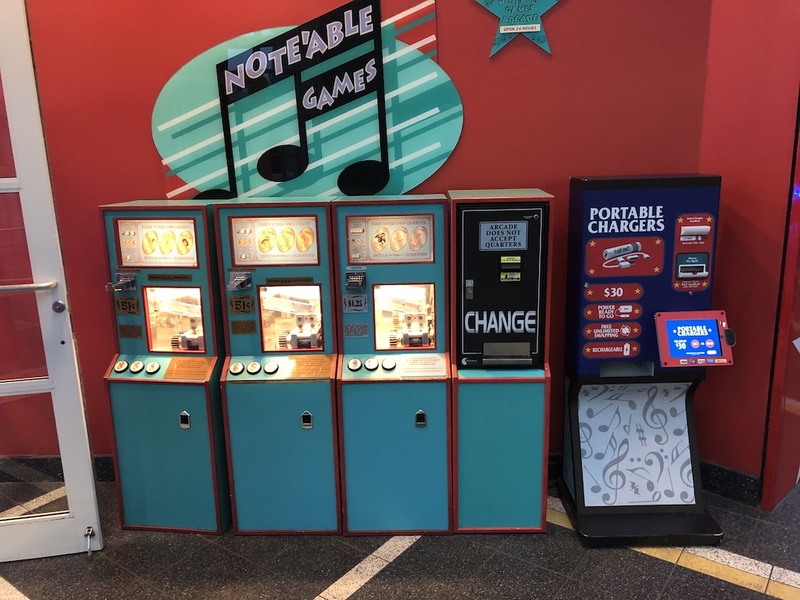 The machine is still located just outside the Note’Able Games arcade, but now has a new 2019 design. 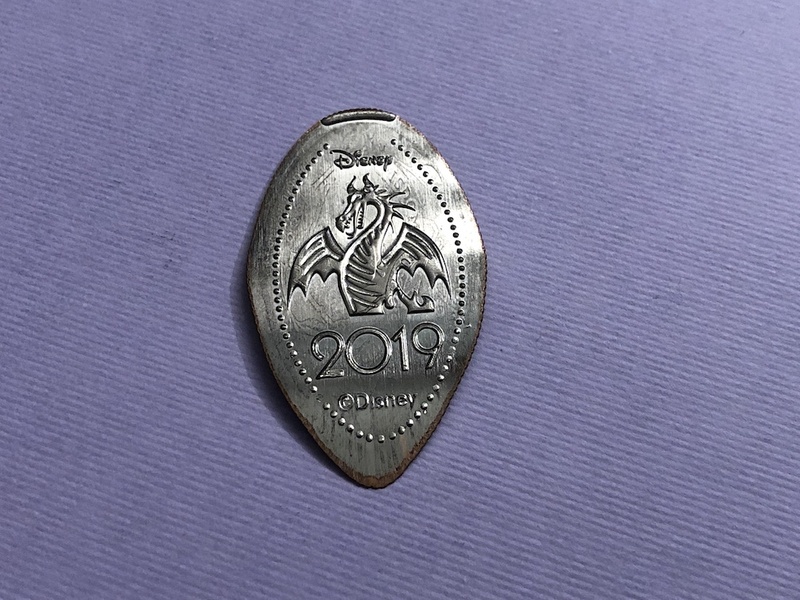 The design is the same Fantasmic / Maleficent Dragon image that is on a penny in the Rock around the Shop. Technically this makes 17 designs released as part of the 2019 dated set. But with the Minnie Mouse quarter design missing, there are still just 16 designs available for pressing. Hopefully you got one of the Minnie Mouse designs before it was removed. This may make for a limited release design and something not everyone would have been able to acquire in the month or so it was available.